CRAWFORD - VOGEL & WENZEL Oil Company, Inc.
Can't fit conventional central air into your home? Has your boiler failed before? Need 24 Hour Burner Service? Need to schedule a Furnace Inspection & Cleaning? 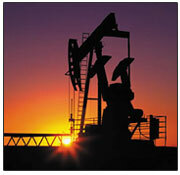 We deliver only premium quality additized , home heating oil and diesel fuel. Automatic Delivery Program: Using our state of the art degree-day system, we calculate your fuel usage depending on the weather outside. Never worry again about running out or having to call for a delivery. You must pay within 10 days to receive a 10 cent per gallon discount. Call in Program: You call us when you need a delivery with a 24 hour notice. Once credit-approved, you may pay within 10 days to receive a 10-cent per gallon discount, or you can pay within 30 days with no discount. You can also have us charge your credit card each time. Night and Weekends are an extra charge. Senior Citizen Discount : If you are 60 years or older, you will receive an extra 2-cents off per gallon. Pre-buy Program: This plan allows you to pre-buy your fuel for the winter at a fixed lock-in rate during the summer months. Now you don't have to worry about any big bills in the winter. You will receive automatic delivery beginning October 1st through May. Available for purchase from May to September. Budget Program: We offer a ten month budget program. Even out your monthly payments while still receiving the cash price. Instead of paying large bills in winter months.